Get out your paper and pen…watch this video and take notes!! This 10-minute video is LOADED with Stats, noteworthy info and YOUR next opportunity for Booming growth in AUGUST! and VERY health conscious for ONCE in a Pro-Active manner! What is your community talking about? More importantly, what is your NEXT PATIENT talking about?? It is the Cultural Conversation and Dr. Glowaki gives you all tools necessary to attract a performance based patient into your practice for that important conversation. A performance based patient equals a wellness based patient!!! New Patient Maven has to offer!!! Timing is pertinent!! Sports season and start of school are right around the corner!!! Run a family based wellness practice! Draw in the pre-teen/teen patients BEFORE the Concussion Roulette takes place. Prevent those unnecessary injuries!! Everyone needs a hero!! Might as well be you! Dr. Brad Glowaki, D.C. is ‘The PI Beast’ and is currently in a high-volume practice. He is not a coach, or a part of a Management group, but has frequently been a guest speaker on many occasions for those groups. 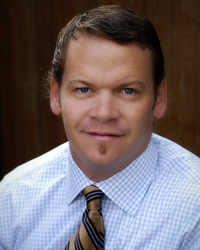 He has also been a keynote speaker at many State Associations and simply shares methodologies and techniques to communicate the message of chiropractic’s benefits to the masses. Next articleWho Doesn’t Like a Little ‘Healthy’ Competition’? ?